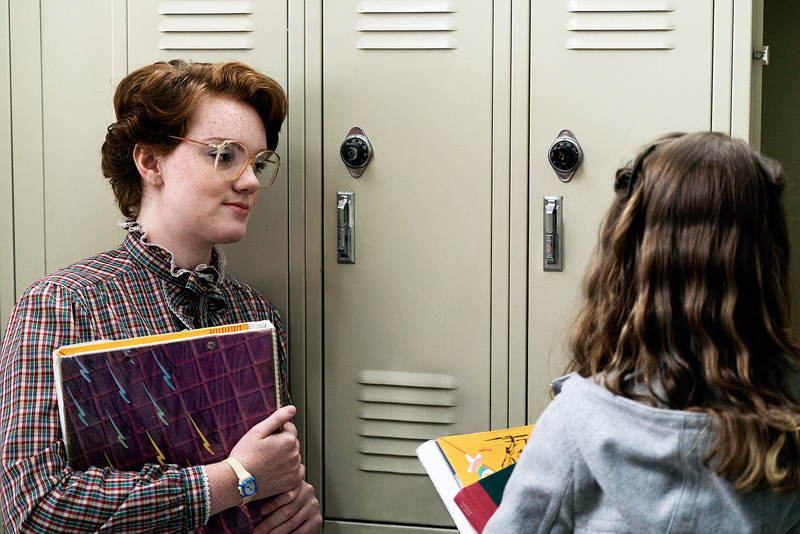 Stranger Things&apos; Shannon Purser came face to face with the Demogorgon in her season 1 demise. But she&apos;s faced some pretty scary situations in real life too. The 19-year-old, who played Nancy&apos;s gone-too-soon best friend Barb on the Netflix series, revealed in a pair of November 7 tweets that she battled self-harm growing up. Since then, Purser has taken to social media to add that suicidal thoughts, depression and anxiety were also part of her fight, which began when the Atlanta native switched middle schools and struggled to make friends. Through therapy and a strong religious faith, Purser was able to “really step back and analyze my feelings,” she says. Now, the young actress, who hasn’t self-harmed since she was 15, wants to work towards providing resources to those who suffer, and eliminating the stigma associated with mental illness. Since revealing her own struggle in the fall, the young actress has received “an outpouring of support,” which allows her to be that voice for her fans — a role she takes very seriously. “I feel that responsibility to really be authentic with people because I think that’s what they deserve, especially in a time when it’s very easy for people in the public eye to sort of cultivate an image,” Purser, now shooting female-empowerment film Sierra Burgess is a Loser, says.